Steve Bax has been meeting with parents who are concerned about the congestion and safety issues that could result from plans to expand Cranmere Primary School. 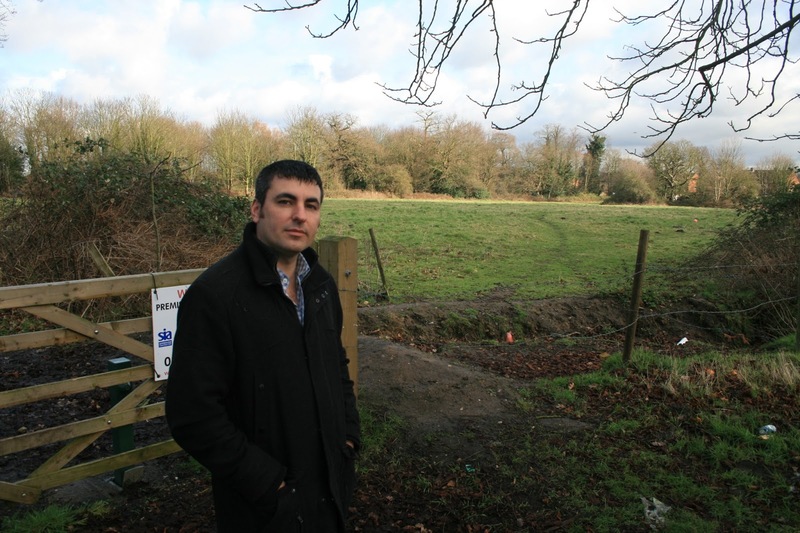 Surrey County Council is responding to an urgent need for more classroom places by building a new Cranmere on land behind Arran Way in Lower Green (pictured) , which will accommodate up to 630 pupils and a nursery when it opens in 2015. That is potentially a lot of school run cars and there is barely enough parking capacity in nearby roads as it is, as evidenced by people parking on grass verges. Cranmere Community Traffic Concern (CCTC) is group formed of local residents and Cranmere parents who are calling on the council to address the parking situation as part of the school redevelopment. They would like a drop-off zone on the school grounds with an exit to Farm Way, and extra spaces created in Douglas Road for residents. There is also a concern about the safety of children from lorries which regularly use Douglas Road on their way to and from the industrial estate. Steve has teamed up with CCTC to help make progress on this issue. We have raised our concerns with John Farrer, the project manager of the new Cranmere, down at the scene and are in talks with Elmbridge Housing Trust about creating additional parking capacity in Douglas Road. This may require funding assistance from Surrey CC which Steve will be in a position to push for if elected. He said: "The new school will be a superb modern facility for the children and the wider community. But it is vital that Surrey addresses the very real concerns about congestion and children’s safety that will most certainly arise from moving the school to Arran Way. I am - and will be - pressing for joined up thinking on this issue." Recently Surrey Police has written to residents asking them not to park on the grass verges. Nobody wants to see the verges turned into a messy quagmire, as has been happening, but Steve's view is that enforcement would not be helpful at this time. Far better to wait until additional capacity has been created.